Let’s just get this out of the way now — you still can’t have more than one Genie DVR on your account. You can add HR24 DVRs, as many as you want, but let’s be honest that’s 6 more boxes if you want to get to the same level as Hopper 3. That does seem a bit ridiculous. I had sincerely hoped that this situation would have changed by now but the simple fact is that it hasn’t. There is still no way for a regular person to have two Genies on an account. In fact it’s gotten harder in the last six months. It used to be that there were fairly minor issues with running two Genies, mostly having to do with the clients not knowing which Genie they should attach to, but now all Genies are most definitely not created equal. The original Genie model HR34 is largely obsolete now but it’s still around in quite a few homes. This Genie doesn’t have wireless networking and it’s fairly slow by today’s standards. It is also missing a few interactive features that its newer brethren have. The short-lived H44 Genie is just as capable as its newer brethren, but it’s not made anymore. It was built because DIRECTV thought there might be a demand for a receiver that could be upgraded to a DVR later. There wasn’t. The HR44 is the current top of the line for people who don’t want 4K. It does everything the older Genies do plus adds some interactive features and wireless networking. It’s also the only Genie offered today with a full set of A/V outputs. The HR54 is the Genie of choice for 4K lovers and it’s the only Genie that DIRECTV will activate for new 4K service. It doesn’t have as many A/V outputs as the other models but you can use a special cable to get either component or composite out. With so many different models, there’s a new problem. If you were to have multiple Genies, one of them has to be “the primary one.” That’s the way accounts are set up. Whichever Genie is the primary, all the other Genies behave the same way. So if the HR34 Genie is the primary one, none of the others get advanced features. On the other hand if the HR54 Genie is the primary one, all the others could potentially see 4K programs in the guide but couldn’t watch them. It could be a mess. At this point I personally don’t think DIRECTV will ever let you have multiple Genies at home. However, with the older H24/H25/HR24 models now getting on 7 years old, they’re going to start fading away. I anticipate something new and different will come up and certainly DIRECTV will be looking at the competition, most of whom have moved to 6 tuners and, well then there’s DISH with 16. The engineers at AT&T and DIRECTV must know that they have to step it up, and I really do think we’ll see something very new, very soon. A lot of people complain and say that the AT&T/DIRECTV deal put development on hold, but I really doubt that. I think that it’s pretty likely there was a change in direction, but that’s not a bad thing either. 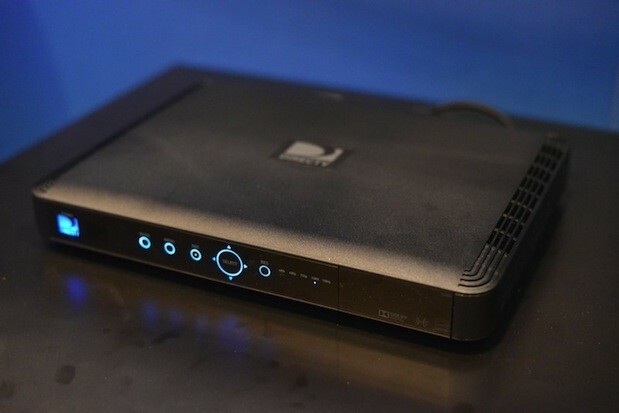 It’s likely that we’ll see a whole new generation of hardware that will appeal to DIRECTV’s massive subscriber base, and if I were a betting man, I’d say that it will have enough tuners to set to rest any worries you have about multiple Genies.